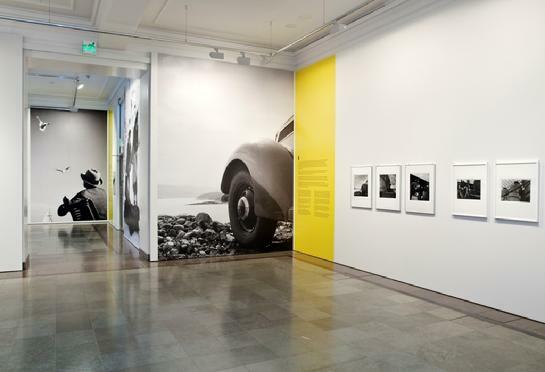 A new exhibition at Ateneum Art Museum entitled Finland Calling - Aho&Soldan presents the lifework of Heikki Aho and Björn Soldan, two of the most influential constructors of the modern image of Finland. The company Aho&Soldan founded in 1925 by the pioneering duo of Finnish photography and film became the dynamo of the cinematic arts. 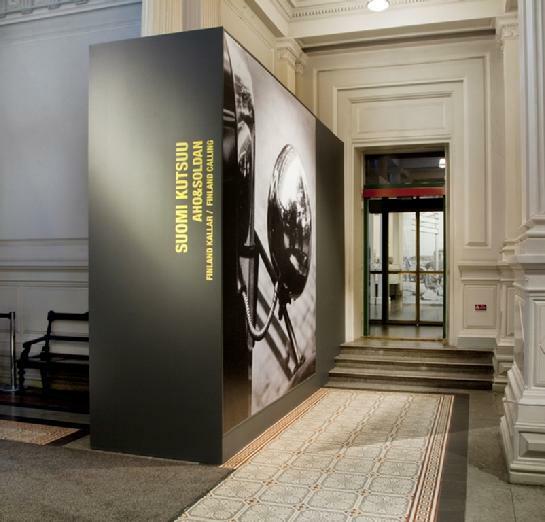 Their entire production opened up new perspectives on Finnish concepts of beauty, the history of everyday life and the industrialisation processes in society. 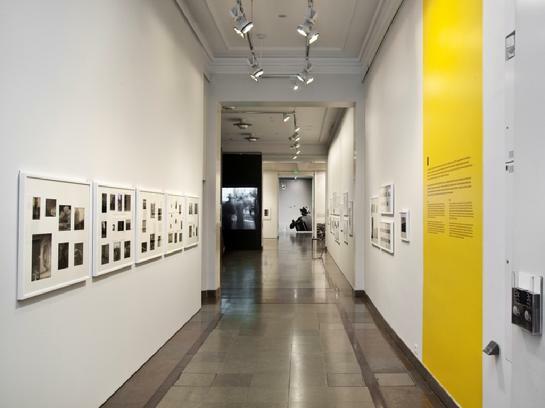 Curated by Tuula Karjalainen (PhD), the exhibition includes travel films from the series Finland Calling, as well as other films and a wide range of photographs. 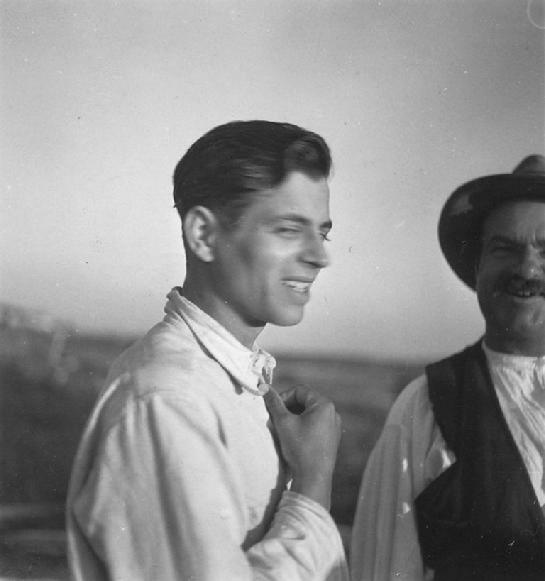 Heikki Aho (1895-1961) and Björn Soldan (1902-1953) were pioneers of Finnish film and photography. They made hundreds of short and long travel and documentary films, including two key domestic feature films. Their photographs were published in books, magazines and travel brochures. Heikki and Björn were the sons of the author Juhani Aho; they were both half brothers and cousins. Heikki’s mother was Venny Soldan-Brofeldt, whose sister Tilly Soldan was Björn’s mother. The brothers complemented each other perfectly. Their most important films and photographic works were the products of teamwork. Eino Mäkinen, whose work was presented in an exhibition at Ateneum in winter 2010, also worked at Aho&Soldan, the company established by the brothers in 1925. The photography and films of Aho and Soldan were strongly influenced by montage films and the experimental spirit of the Bauhaus. The brothers were part of the legendary ABISS group, whose members also included Vilho Setälä along with Hans Brükner and Heinrich Iffland, who moved to Finland from Germany. The group was inspired by modern industry architecture, urban scenes and streets filled with the everyday buzz of traffic. 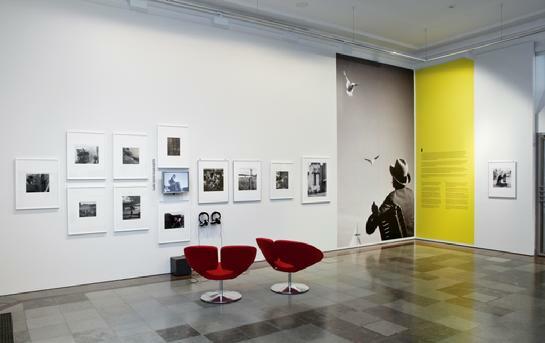 An exhibition held by the group in 1930 was considered a turning point in Finnish photography. Most of Aho&Soldan’s films were commissioned works, including advertising and propaganda films. Their most important films were made to promote tourism and industry and distributed internationally by the Ministry of Foreign Affairs. A silent version of their film Finland Calling was released in 1932. In 1936 and 1940 narrated compilations were released, praising Finland’s natural beauty, sights and attractions, modern way of life and industry. These films were released in numerous languages, attracting visitors from abroad and encouraging travellers in Finland. Finland Calling was also screened at New York World’s Fair in 1939 and 1940. In the 1940 release the happy days of domestic tourism and urban life end with the bombings of the Winter War. The brothers continued their work throughout the war, Heikki Aho with the Information Company of the Finnish Armed Forces and Björn Soldan on the home front. Suomi kutsuu - Aho & Soldan esittelee modernin Suomi-kuvan rakentajien, Heikki Ahon ja Björn Soldanin elämäntyötä. Kotimaisen valokuvan ja elokuvan pioneerikaksikon vuonna 1925 perustamasta Aho & Soldan -yhtiöstä kehittyi filmitaiteen dynamo, jonka tuotanto avasi näköaloja kotimaan kauneusarvoihin, arjen historiaan ja yhteiskunnan teollistumis-prosesseihin. FT Tuula Karjalaisen kuratoimassa näyttelyssä on esillä muun muassa Suomi kutsuu -matkailuelokuvia, muita filmejä sekä runsaasti valokuvia. Näyttelyarkkitehtuuri on Marjaana Kinnermän käsialaa. Heikki Aho (1895-1961) ja Björn Soldan (1902-1953) olivat suomalaisen elokuvan ja valokuvan merkittäviä uudistajia. He tekivät satoja lyhyitä ja pitkiä matkailu- ja dokumenttielokuvia sekä filmasivat kaksi kotimaisen näytelmäelokuvan avainteosta. Heidän valokuviaan julkaistiin kirjoissa, aikakauslehdissä ja matkailumainoksissa. Heikki ja Björn olivat kirjailija Juhani Ahon poikia, velipuolia ja samalla serkuksia. Heikin äiti oli Venny Soldan-Brofeldt, jonka sisar TillySoldan oli Björnin äiti. Veljekset hitsautuivat yhteen toisiaan täydentäen, ja elokuvista ja valokuvateoksista merkittävimmät toteutuivatkin tiimityönä. Veljesten vuonna 1925 perustamassa Aho & Soldan -yhtiössä työskenteli kuvaajana myös Eino Mäkinen, jonka näyttely oli esillä Ateneumissa talvikaudella 2010. Ahon ja Soldanin valokuvissa ja filmeissä on vahvoja vaikutteita montaasielokuvasta ja Bauhausin kokeellisesta hengestä. Veljekset olivat mukana valokuvaajien ABISS-ryhmässä, johon liittyivät myös Vilho Setälä sekä Saksasta Suomeen muuttaneet Hans Brückner ja Heinrich Iffland. Ryhmää innoittivat moderni teollisuus, arkkitehtuuri, kaupunkien hiljentyneet hetket ja arjen sykkeessä kaduilla risteilevä liikenne. Ryhmän vuonna 1930 järjestämää näyttelyä pidetään suomalaisen valokuvataiteen käännekohtana. Suurin osa Aho & Soldanin filmeistä oli tilaustöitä; mainos- ja propagandafilmejä. Elokuvista merkittävimmät valmistuivat ulkoministeriön kansainväliseen levitykseen, matkailun edistämistä ja teollisuutta varten. Näyttelylle nimensä lainanneen Suomi kutsuu -elokuvasarjan kantafilmi sai ensiesityksensä mykkäversiona vuonna 1932. Sitä seurasivat vuosien 1936 ja 1940 uudistetut, äänelliset koosteet, jotka hehkuttivat maan luonnonkauneutta, nähtävyyksiä, modernia elämää ja teollisuutta. Ne houkuttelivat kymmeninä kieliversioina turisteja ulkomailta ja kannustivat kotimaan matkailuun. Suomi kutsuu -elokuvaa esitettiin myös New Yorkin maailmannäyttelyssä 1939-40. Vuonna 1940 elokuvaan tehdyssä lisäyksessä kotimaan matkailu ja urbaani elämä päättyvät talvisodan pommitusten kuviin. Molemmat kuvaajat jatkoivat työtään koko sodan ajan, Aho TK-kuvaajana ja Soldan kuvaten siviilien elämää kotirintamalla. Heikki Aho (1895–1961) and Björn Soldan (1902–1953) were pioneers of Finnish film and photography. In 1925 they established their company Aho & Soldan, which became the dynamo of the cinematic arts. They made ​​hundreds of short and long travel and documentary films, including two key domestic feature films. Their photographs were published in books, magazines and travel brochures. Their entire production opened up new perspectives on Finnish concepts ​​of beauty, the history of everyday life and the industrialisation processes in society. Heikki Aho and Björn Soldan were two of the most influential constructors of the modern image of Finland. Heikki and Björn were the sons of the author Juhani Aho; they were both half-brothers and cousins. Heikki’s mother was Venny Soldan-Brofeldt, and Venny’s sister Tilly was Björn’s mother. The brothers complimented each other perfectly. Their most important films and photographic works were the products of teamwork. The final result was confirmed by the Aho & Soldan logo, behind which it is difficult to distinguish between the camerawork of the brothers. 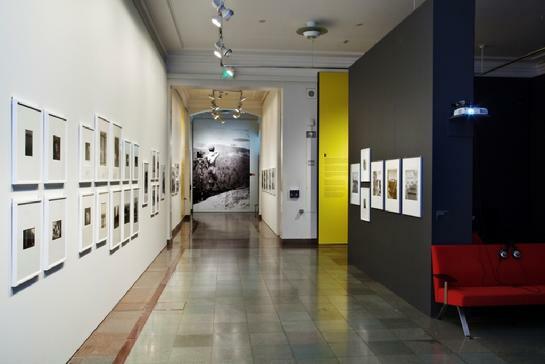 During their youth, Germany and the Soviet Union were the pioneers of European photography. The photography and films of the brothers were strongly influenced by montage films and the experimental spirit of the Bauhaus. Improved film qualities, optics and cameras allowed them to try new things. Printing technology developed, as a result of which the use of photographs in journals increased significantly and new film production opportunities were created. In 1933 a tax reduction scheme was introduced to stimulate Finnish filmmaking. Relief from stamp duty and the need for information about the domestic markets created demand for short films screened before feature films. This was the positive climate in which Aho and Soldan worked. With a degree in mechanical engineering, Heikki Aho was fascinated by the technical aspects of photography. He sought out the perfect method for copying a still image on paper and onto celluloid strips playing consecutive film frames. Aho had studied the new science of tones and colours from 1920 to 1923 in Grossbothen, Germany, inspired by the Nobel laureate colour theoretician Wilhelm Ostwald. Applying Ostwald’s theory he developed his own exposure meter, the “photometer”, and was later captivated by the development of colour printing methods. He was an energetic director of his films who participated in the filmmaking process in many ways. As an editor he adopted the modern montage technique. 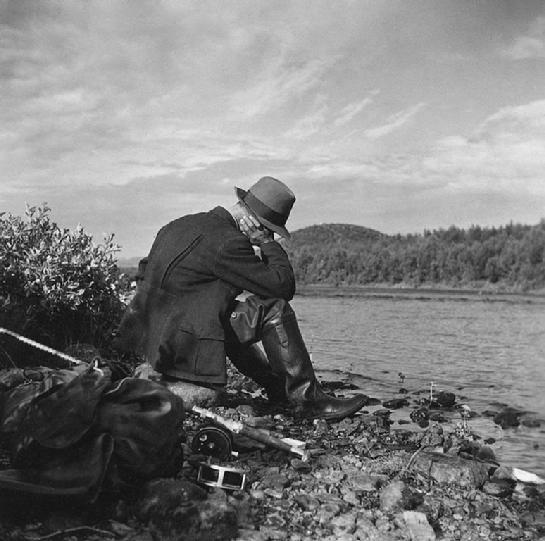 Behind the camera Aho was a master admired by many, shooting his impressions of the moment “on the fly”. When Soldan moved to London, Aho&Soldan’s operations continued to develop. Björn Soldan studied from 1923 to 1924 at the Photography Department of the Munich Academy of Fine Arts, becoming the first European-trained photographer in Finland. He was a highly skilled cameraman who followed the modern trends of his time and whose expression was based on well thought out compositions and bold focusing in images that highlighted light and shadow. In 1945, worn down by wars, Soldan moved to London to become a reporter for the Finnish-language department of the BBC. The first of Aho & Soldan’s 12 long documentary films, “Among the Wild Birds” (Villilintujen parissa) in 1927, was also the first nature film in Finland. Childhood summers spent on the shores of the archipelago had taught the brothers about nature and how to live in the wild, and nature was a dominant theme in much of their work. The wilderness and rapids of North Karelia provided the background for the film adaptation of the novel Juha written by their father Juhani Aho, which was directed by Nyrki Tapiovaara. Most of Aho & Soldan’s films were commissioned works, including advertising and propaganda films. Their most important films were made to promote tourism and industry and distributed internationally by the Ministry of Foreign Affairs. In their films depicting Finland, agrarian nationalism and tribal values are still very pronounced. In the 1930s Aho and Soldan introduced alongside them the topical aesthetic values of industrialisation and urbanisation. Aho & Soldan’s series of films titled “Finland Calling” (Suomi kutsuu) was the Ministry of Foreign Affairs’s introduction to modern-day Finland. A silent version of the series was released in 1932. In 1936 and 1940 narrated compilations were released, praising Finland’s natural beauty, sights and attractions, modern way of life and industry. These films were released in numerous languages, attracting visitors from abroad and encouraging travellers in Finland. Although the amount of leisure time was increasing, many of the sights and aesthetic values ​​of Finland were still hidden from the majority of the population. Released in 1936, Finland Kallar was a heavily cut version for the annual travel fair in Stockholm, Sweden. Featuring the music of Sibelius, the film’s visual offerings were somewhere between a documentary and a promotional film. The modern visuals supported by a soundtrack were effective again at the New York World’s Fair in 1939 and 1940. The 1940 release ended the happy days of domestic tourism and urban life with the bombings of the Winter War. The theme of a small nation’s fight for Western culture was formulated by Heikki Aho and repeated in the film Finland försvarar Nordens frihet (“Finland Defends the Freedom of the Nordic Countries”). 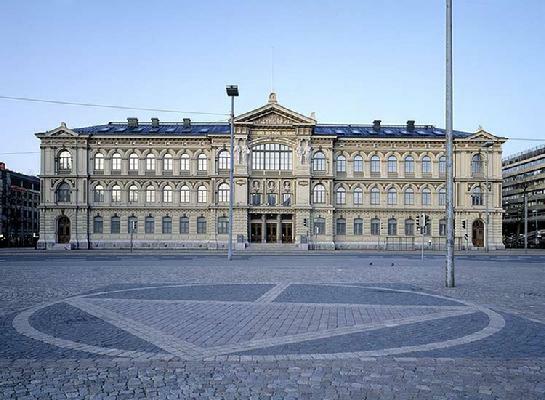 The brothers served as reporters for the Finlandia news agency in Stockholm. 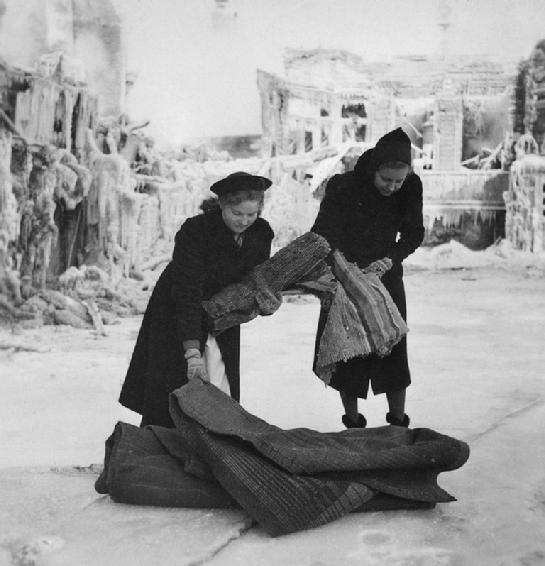 They provided material for the international newsreel companies and with their short films helped to strengthen the image of the “spirit of the Winter War” among the world’s media. Heikki Aho and Björn Soldan worked hard on producing images for magazines and advertising, and they questioned the traditional genre of art photography. The influence of German modernism and Bauhaus is clearly visible in these images. The brothers founded the legendary ABISS group, which attracted as its members Vilho Setälä along with Hans Brückner and Heinrich Iffland, who moved to Finland from Germany. They were united by a desire to cleanse themselves of methods that imitated the visual arts, believing instead that photography must rely on its own methods, to experiment and innovate. It was time to aim their cameras at the new urban world and interpret it through new perspectives. The group was inspired by modern industry, architecture, urban scenes and streets filled with the everyday buzz of traffic. Released in 1932, Arabia was a film about ceramic utensils and their serial production in the neo-realistic spirit of Walter Gropius. The 1933 film Outokumpu described the magic of an ore mine as filtered by the camera of Björn Soldan in black and white vibrating tones. Acclaimed by film critics in 1934, Tempo is a symphony of forests and machines, tracing the route of wood from untouched forests to giant industrial plants. The film ultimately returns to the starting point of the industrial cycle with man planting a new forest. In autumn 1941 Heikki Aho was assigned to the Information Company of the Finnish Armed Forces as the Finnish offensive in East Karelia was about to begin. 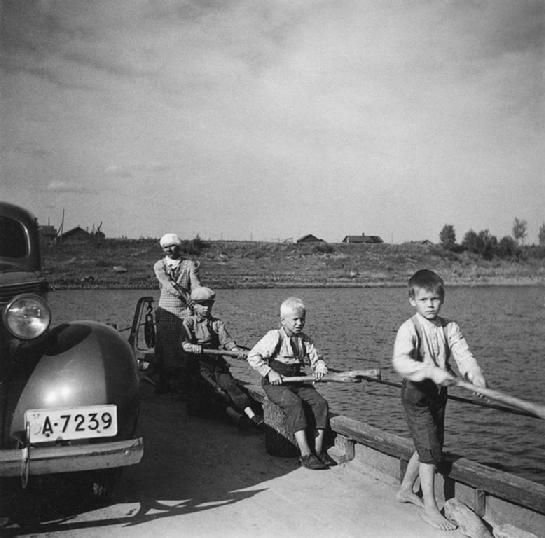 The war photographer travelled to White Karelia, the birthplace of Finnish folk poetry. 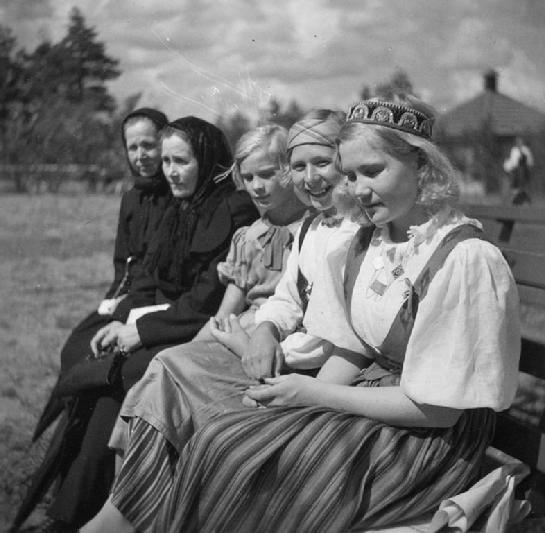 He was allowed to photograph the population of the occupied East Karelia and to highlight the tribal cohesion in the area. The images of East Karelia captured by Aho as seen from an ethnographical view represent nostalgia as opposed to the prisoner of war camps and churches destroyed by the enemy as portrayed by Finnish war propaganda. 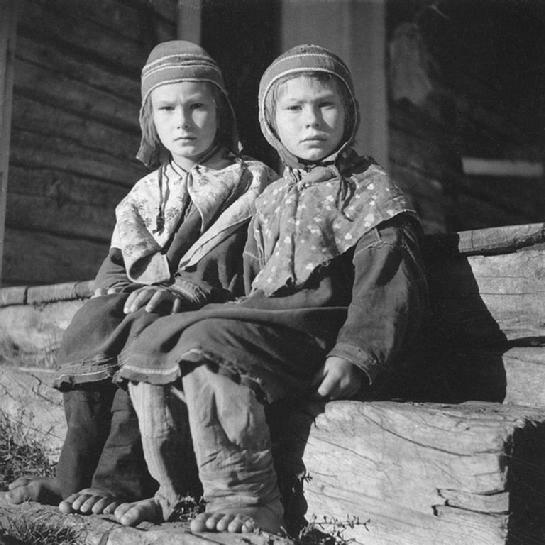 “Life Begins Again in Karelia” (Elämä alkaa taas Karjalassa) became the author’s film testament to the Continuation War and his last for the Armed Forces. Björn Soldan worked on the home front throughout the war. He was one of the top photographers at the State Information Bureau, and his images conveyed the fighting spirit of the civilian population defying their war weariness. 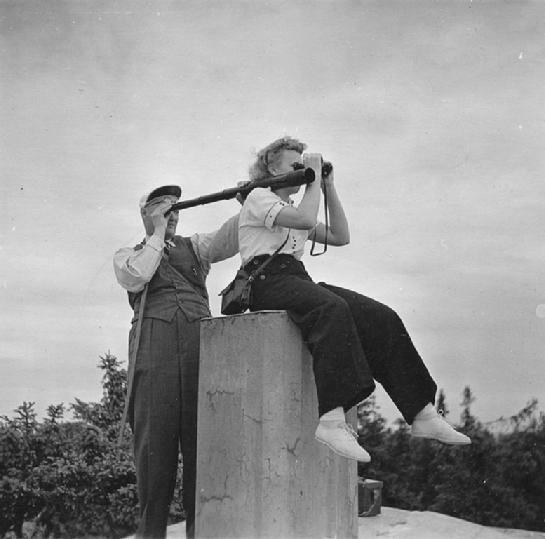 This master of the commissioned image focused on wartime voluntary work and the everyday realities of the wartime economy, visited military hospitals with his cameras and revealed the self-sacrificing work of women on behalf of Finnish welfare and civilian protection. In 1943 the brothers were in the service of a new employer, Finlandia-Kuva. Attitudes about exiting the war began to be nurtured, so the company’s “Finlandia Reviews” (Finlandia-Katsaukset) presented topical themes from the home front as filmed by Aho and Soldan. Cultural cooperation with Germany still flourished. Holger Harrivirta recorded and Björn Soldan filmed as Ilse Werner and Lizzi Waldmüller, stars of the Third Reich, gave a concert in Finland. A film marking the spiritual end to the war for Helsinki’s residents was not completed until 1950 as the city celebrated its 400th anniversary. Heikki Aho’s “Song to the City of the Sea” (Laulu meren kaupungista) finally brought the nation’s capital out of the shadow and into the light. In the film the artist Ella Eronen emotionally interprets the feelings of the nation. Heikki Aho (1895–1961) ja Björn Soldan (1902–1953) olivat suomalaisen elokuvan ja valokuvan merkittäviä uudistajia. He perustivat vuonna 1925 Aho & Soldan -yhtiön, josta kehittyi filmitaiteen dynamo. He tekivät satoja lyhyitä ja pitkiä matkailu- ja dokumenttielokuvia sekä filmasivat kaksi kotimaisen näytelmäelokuvan avainteosta. Heidän valokuviaan julkaistiin kirjoissa, aikakauslehdissä ja matkailumainoksissa. Koko heidän tuotantonsa avasi näköaloja kotimaan kauneusarvoihin, arjen historiaan ja yhteiskunnan teollistumisprosesseihin. Heikki Aho ja Björn Soldan kuuluvat modernin Suomi-kuvan suuriin rakentajiin. Heikki ja Björn olivat kirjailija Juhani Ahon poikia, velipuolia ja serkuksia. Heikin äiti oli Venny Soldan-Brofeldt ja Vennyn sisar Tilly oli Björnin äiti. Veljekset hitsautuivat yhteen toisiaan täydentäen. Elokuvista ja valokuvateoksista merkittävimmät toteutuivat tiimityönä. Lopputuloksen vahvisti Aho & Soldan -logo, jonka takaa on vaikea erottaa toisistaan veljesten kameran jälkiä. Ahon ja Soldanin nuoruuden aikana Saksa ja Neuvostoliitto olivat eurooppalaisen valokuvauksen edelläkävijöitä. Veljesten valo- ja elokuvissa oli vahvoja vaikutteita montaasielokuvasta ja Bauhausin kokeellisesta hengestä. Kehittyvät filmilaadut, optiikka ja kamerat mahdollistivat uusia asioita. Painotekniikka uudistui, valokuvien käyttö lisääntyi merkittävästi lehdissä ja elokuvien tuotantomahdollisuudet paranivat. Vuonna 1933 säädettiin suomalaisen elokuvan elvyttänyt veronalennusjärjestelmä. Helpotukset pääkuvan leimaverosta sekä kotimarkkinoiden informaation tarve loivat alkukuvina esitettäville lyhytfilmeille kysynnän. Tässä nosteessa mukana olivat myös Aho ja Soldan. Koneinsinööriksi valmistunutta Heikki Ahoa kiehtoi valokuvauksen tekniikka. Hän etsi täydellisintä menetelmää yksittäisen filmikuvan kopioimiseksi paperille ja elokuvan ruutuja toistavalle selluloidinauhalle. Aho oli perehtynyt sävyjen ja värien uuteen tieteeseen 1920–23 Grossbotenissa Saksassa, innoittajanaan Nobel-palkittu väriteoreetikko Wilhelm Ostwald. Ostwaldin teoriaa soveltaen hän kehitti oman valotusmittarinsa, ”fotometrin”, ja heittäytyi myöhemmin väripainomenetelmien kehitystyöhön. Hän oli elokuviensa energinen ohjaaja, joka osallistui tekemisiin monin tavoin. Leikkaajana hän omaksui modernin montaasitekniikan. Kameran takana Aho oli monien ihailema mestari, joka ”ampui lennosta” hetken impressiot. Aho & Soldan -yhtiön toiminta jatkui ja uudistui vielä senkin jälkeen kun Björn Soldan muutti Lontooseen. Björn Soldan opiskeli 1923–24 Münchenin Taidekorkeakoulun valokuvausosastolla ja oli ensimmäinen eurooppalaisessa opinahjossa koulutettu suomalainen kuvaaja. Hän oli kamerataituri, joka seurasi aikansa moderneja suuntauksia. Hänen ilmaisunsa perustui mietittyihin kompositioihin ja rohkeisiin rajauksiin valon ja varjon pelkistämissä kuvissa. Vuonna 1945 sotien uuvuttama Soldan siirtyi BBC:n suomenkielisen osaston toimittajaksi Lontooseen. Aho & Soldanin 12 pitkästä dokumenttielokuvasta ensimmäinen, Villilintujen parissa 1927, oli ensimmäinen luontoelokuva Suomessa. Lapsuudesta asti saaristomeren rannalla vietetyt kesät olivat opettaneet veljekset elämään luonnossa ja luonnosta – luonto puhutteli ja dominoi useita heidän töitään. Pohjois-Karjalan korvet ja villit virrat antoivat taustaa Ahon ja Soldanin kirjailijaisän romaanille Juha, jonka ohjasi Nyrki Tapiovaara. Suurin osa Aho & Soldanin filmeistä oli tilaustöitä; mainos- ja propagandafilmejä. Elokuvista merkittävimmät valmistuivat ulkoministeriön kansainväliseen levitykseen, matkailun edistämistä ja teollisuutta varten. Suomea kuvaavissa elokuvissa olivat agraarinationalismin ja heimoaatteen arvomaailmat vielä hyvin korostuneita. Niiden rinnalle Aho ja Soldan nostivat 1930-luvun teollistuvan ja urbanisoituvan Suomen ajankohtaiset kauneusarvot. Aho & Soldanin Suomi kutsuu -elokuvien sarja oli ulkoministeriön avaus moderniin Suomeen. Kantafilmi päätyi levitykseen vielä mykkänä vuonna 1932. Sitä seurasivat vuosien 1936 ja 1940 uudistetut, äänelliset koosteet, jotka hehkuttivat maan luonnonkauneutta, nähtävyyksiä, modernia elämänmenoa ja teollisuutta. Ne houkuttelivat kymmeninä kieliversioina turisteja ulkomailta ja kannustivat kotimaan matkailijoita. Vaikka vapaa-aika oli lisääntynyt, olivat nähtävyydet ja kauneusarvot yhä valtaväestöltä piilossa. Vuonna 1936 valmistunut Finland Kallar oli tiiviiksi leikattu versio Tukholman matkailumessuille. Sibeliuksen musiikkiin rytmitetty filmi sijoitti houkuttelevat näkymänsä dokumentin ja mainoselokuvan välimaastoon. Ääniraitaa tukeva moderni visuaalisuus tehosi uudelleen New Yorkin maailmannäyttelyn esityksissä 1939–40. Vuoden 1940 lisäys päätti kotimaan matkailun ja urbaanin elämän onnenpäivät talvisodan pommituksiin. Pienen maan taistelu länsimaisen kulttuurin puolesta oli Heikki Ahon muotoilema teema, joka täydentyi elokuvassa Finland försvarar Nordens frihet. Veljekset toimivat Finlandia Uutistoimiston tiedottajina Tukholmassa. He välittivät maailman uutiselokuvayhtiöille sotakuvaajien aineistoa ja vahvistivat lyhytkuvillaan kansainvälisen median mielikuvia siitä, mitä oli ”talvisodan henki”. Uusia ja kokeilevia olivat myös veljesten teollisuuselokuvat. Aikansa suuri vaikuttaja T. J. Särkkä arvosti Aho & Soldanin kameroiden taikaa ja ”kykyä avata suomalaisten silmät materiaalin ihmeille ja koneiden kauneudelle”. Vuoden 1932 Arabia oli elokuva keraamisista käyttöesineistä ja niiden sarjatuotannosta Walter Gropiuksen uusasiallisessa hengessä. Vuoden 1933 Outokumpu oli Björn Soldanin kameran suodattamaa magiaa malmikaivoksesta musta-valkoisena värähtelevissä sävyissä. Elokuvakriitikoiden vuonna 1934 ihailema Tempo muotoutui metsien ja koneiden sinfoniaksi, joka kulki koskemattomista metsistä puita jauhaviin teollisuuslaitoksiin. Elokuva päättyy teollisen kiertokulun alkupisteeseen, missä ihminen jälleen istuttaa uutta metsää. Syksyllä 1941 Heikki Aho komennettiin puolustusvoimien tiedotuskomppaniaan, kun suomalaisten hyökkäys Itä-Karjalaan oli alkamassa. Sotakuvaajan matka suuntautui Vienaan, suomalaisen kansanrunouden syntysijoille. Hän sai esitellä vallatun Itä-Karjalan asujaimistoa ja tuoda esiin alueiden heimoaatteen sävyttämää yhteenkuuluvuutta. Ahon Itä-Karjalan kuvat ovat etnografisella silmällä nähtyä nostalgiaa vastakohtanaan sotavankileirit ja vihollisen tuhoamat kirkot suomalaisen sotapropagandan ikonografian mukaisesti. Elämä alkaa taas Karjalassa muotoutui tekijänsä elokuvatestamentiksi jatkosodalle ja viimeiseksi puolustusvoimien palveluksessa. Björn Soldan kuvasi kotirintamilla koko sodan ajan. Hän kuului Valtion Tiedotuslaitoksen luottokuvaajiin – heidän kuvistaan tuli välittyä siviilien sotaväsymystä uhmaava yhteishenki. Tilauskuvan mestari paneutui sota-ajan talkootöihin ja säännöstelytalouden arkeen, vieraili kameroineen sotasairaaloissa ja avasi näkökulman naisten uhrautuvaan työhön Suomen Huollon ja pääkaupungin väestösuojelutehtävissä. 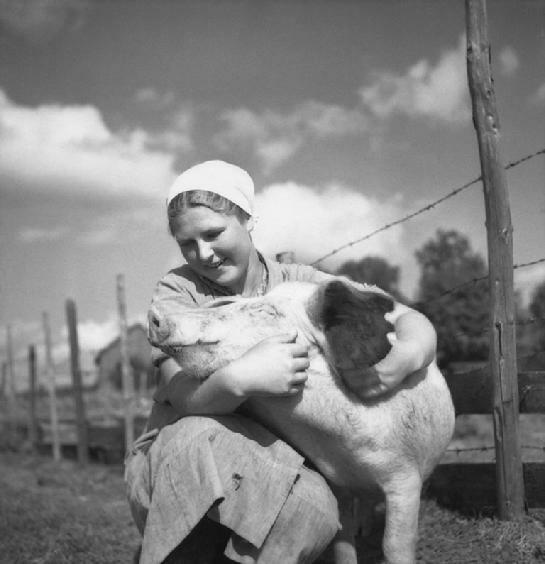 Vuonna 1943 veljekset olivat uuden työnantajansa Finlandia-Kuvan palveluksessa. Alkoi asenteiden muokkaus sodasta irtautumisen varalle, ja siksi yhtiön Finlandia-Katsaukset esittäytyivät Ahon ja Soldanin filmaamilla ajankohtaisilla kotirintaman aiheilla. Kulttuuriyhteistyö Saksan kanssa kukoisti vielä. Holger Harrivirta äänitti ja Björn Soldan kuvasi, kun Kolmannen valtakunnan tähdet, Ilse Werner ja Lizzi Waldmüller pitivät konserttinsa Suomessa. Sodan henkinen päätöskuva helsinkiläisille valmistui vasta kaupungin 400-vuotisjuhliin vuonna 1950. Heikki Ahon Laulu meren kaupungista nosti lopullisesti varjoista valoon maan pääkaupungin. Elokuvassa taiteilija Ella Eronen tulkitsee tunteikkaasti kansakunnan tunnot. ART - magazine 3/2011 pages 62-63 "Constructors of the Finland-brand"
TAIDE - lehti 3/2011 sivut 62-63 "Suomi-brandin rakentajat"
Article - Travel - magazine June 2011 p. 6 "Creating the Image of Finland"
Artikkeli - Matkaan-lehti sivu 6 heinäkuu 2011 "Suomi-kuvaa rakentamassa"
Viikon tietokirja: Kaupunkilaiselämää - 1930-luvun Helsinkiä. Ilkka Kippolan haastattelu. 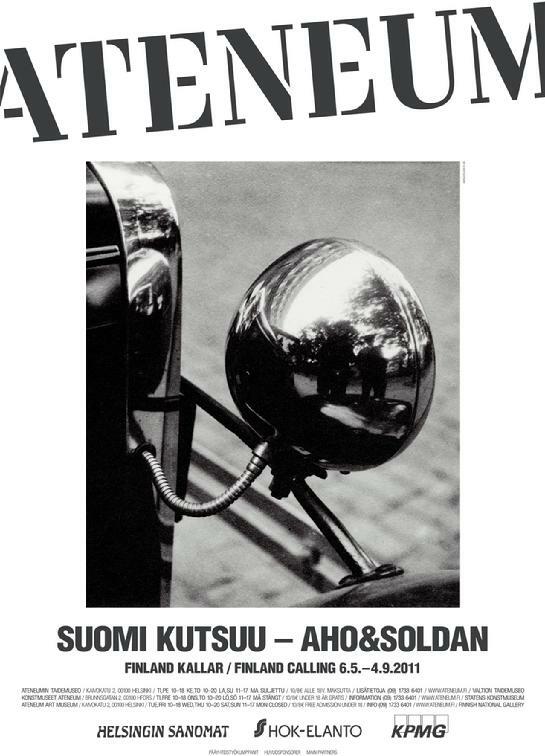 (THE BOOK OF THE WEEK: CITY LIFE - VIEWS OF HELSINKI IN THE 1930´S. INTERVIEW WITH ILKKA KIPPOLA).